Chicken Adobo is a classic Filipino dish and is one of the mostly recognized Filipino foods. 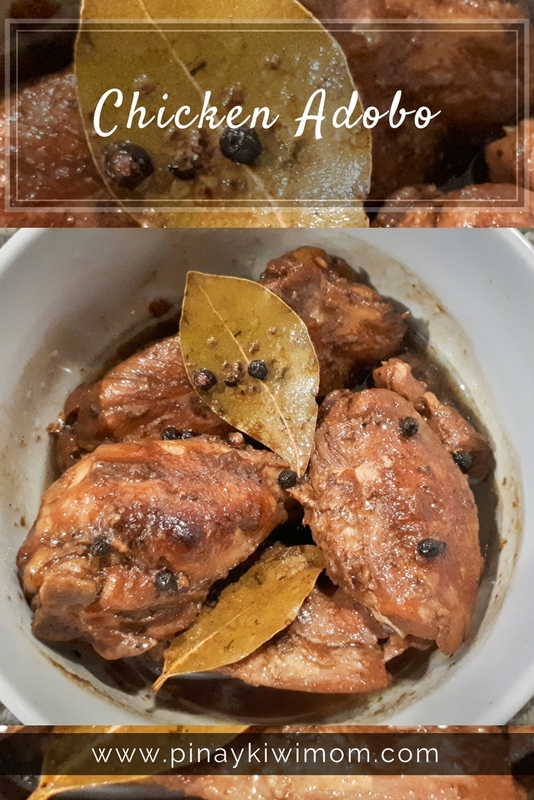 It is a dead simple dish: chicken marinated in vinegar, soy sauce, garlic and peppercorns, before being browned in oil, and simmered in the marinade. It is simple and easy to cook and is traditionally served with white rice. When oil is hot enough, put-in the marinated chicken. Cook all the sides for about 5 minutes.